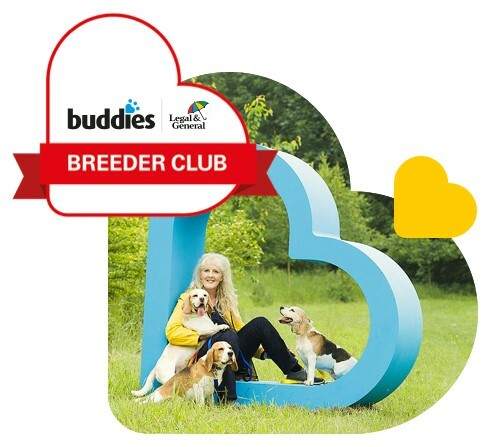 At Buddies we believe that great puppies start with great breeders – which is why we are proud to have built up a network of some of the best breeders in the UK. Our work with these breeders over the last 17 years, along with our own Buddies Yearling Stakes show, and we have channeled all this expertise into our Buddies Breeder Club. 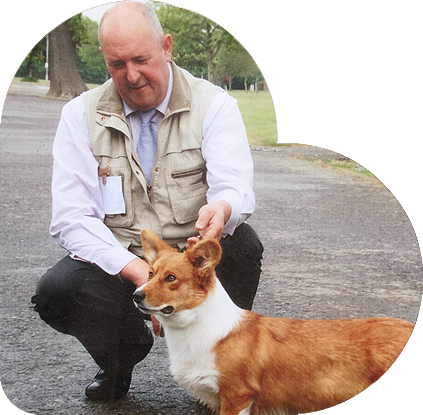 We want to offer this expertise to a wider network of quality breeders – so we’re looking to add members now. Access to our One Month Free policies – enabling you to ensure your puppies are covered against illness and injury for their first month with their new forever owners. A rewarding referral scheme – giving you extra rewards if you recommend another breeder to the club. We give our pups all the love and care we can when they are in our home, when they leave for their new homes Buddies takes away the worry if anything does go wrong. Huw and I have been using Buddies for a few years now and are very happy with the fast and friendly service we get. Registering the pups is easy and quick. We are very happy to promote Buddies to our friends, who also breed. Thank you Buddies for your great service. The Buddies team are so friendly and as a company they feel approachable. I want my puppy owners to experience that too, and if the need arose I want to feel that they would be looked after.